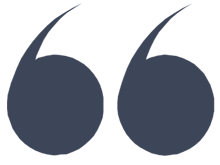 FEEL FREE TO EXPLORE, AND READ WHAT OUR CLIENTS HAVE TO SAY! We want to help you achieve the same online success, that our clients have been enjoying and benefiting from for quite sometime. Client Kudos is one of the best forms of flattery in any business, we are sure you agree! Thank you, Cher, for your patient and thorough service in designing a new website to meet our particular needs. You made several creative suggestions as you guided us through the design process; these suggestions really helped make our sight not only optimally functional but visually beautiful. We look forward to referring other clients to you and Getagrip. Thank you for all your help and to answer all my questions! I`m so impressed and as you renewed my website so fast and I think you did a really great job! You can add this as my testimonial, it`s short but just because I`m running out of time, as I will leave after tomorrow on vacations, and I`m still busy. Thank you very much again and we will be in touch for the next! "Our website was getting out dated and we needed a new online image but we didn’t have the time or the expertise to do the work. Get A Grip Websites and Cher Connor revamped and created a fantastic fresh new look for the website and also a 'NEW LOGO' for our team. We were extremely happy with the result. The logo is professional looking and creative and the website is attractive and easy to use. We found the experience of working with Cher at Get A Grip Websites to be very positive, she was extremely knowledgeable, creative, quick to return emails, very accommodating and everything was completed in a timely manner. We would highly recommend Get A Grip Websites to anyone in need of creating or enhancing their website business by creating a more professional online image." After working with 3 web designers, we were thrilled to find Get A Grip. We needed a total redesign. I called the company and talked with both Barry and Cher at length. I immediately felt comfortable with them. Through the entire process, Cher was available by phone and email and responded to all calls and emails in a timely manner. We highly recommend Get a Grip for their creativity, knowledge and customer service. You will not be disappointed. Just to let you know, I am 100 % and more, happy about my new web site, Great job Cher! I have had many compliments already and it was just in time for a listing presentation, where I was up against 2 other top realtors. The clients were very impressed with my web site and the audio that I was going to add with their listing. They were at the time discouraged, but reassured with me listing and what I could do for them. History is on this home, it was for sale with a realtor last year for 4 months, and then 2 months private, then they took if off the market. I gave my presentation Feb 19, Feb 20 signed listing contract, showing started Feb 25 with an offer date of Mar 6. I had an Open House Sunday Mar 3 from 1-4 and had over 90 people show up, where several had commented on the web listing. Come Mar 6 it Sold to a family from BC who told their agent that what they seen on the web, the pictures and audio Sold them, as they have not seen the home in person. All they told the realtor was to go and see the home, and if it was as shown and in his opinion, in good condition, they were buying. Amazing how a professionally presented web site with audio on the listing, could give you results like this. The way I see it, the web is the way to go in today's world, so your priority should be to invest into a professionally done web site, like I did, if you want amazing results. Thank You Barry & Cher from Get A Grip Audio Solutions, for giving my company a professional, amazing look and helping my business grow. Cher and her team at Get A Grip recently modernized my Point 2 Agent website. I was pleased with the work they had performed. The process was smooth and they definitely had lived up to all their promises unlike other website designers I had used in the past. I would highly recommend this company for website design or modernization. "I am very pleased to say I finally found what I was looking for in website design. A big thank you to Cher & Barry at 'Get A Grip Audio & Website Solutions' (website site designs). Mine was long overdue and Barry gently kept on me (for a year!) to talk to Cher about what she could do for me. She listened to every word, all my wants and needs and ran with it. From the colors to pictures to fonts and more, I love it! I have had people call me from all over to tell me how much they love my new website & it's only been up two days! A wealthy friend of mine always says "It takes money to make money," it's very true, but I also believe it takes a team of great people to support you. Thank you so much 'Get A Grip Audio' fantastic job! I am so very pleased with the work Cher put into my website. She started the process by making sure to have a conversation with me to get a "feel" for the kind of person I am and designed the website accordingly. The end result is truly reflective of the type of person I am. I can honestly say the investment was well worth it as I've received several more inquiries via my new website than I ever had before. A big thank you Cher! I had been spending some time checking out what you guys had done prior to calling. And my own I really like it! Looks good, clean and works very efficiently. Not overbearing and not annoying to scroll through. Everything I asked for. Great job! Looks fantastic. Appreciate the effort... and good job on the logo LOVE IT too!!! Cher, first of all.....YOU ARE UNBELIEVABLE! Calling Get A Grip was the best phone call I've made all year and the best money spent!!!! I am blown away with the quality of your work AND service. You are a true professional in every sense of the word. I CAN'T BELIEVE HOW AMAZING THIS SITE IS!!!!!!!!!!!!!!!!!!!!!!!!!!!!!!!!!! I'M SO PROUD! Thank you!!!!!!! Looks Amazing... Thanks so much for all the work you put in to our WEBSITE and AUDIO productions! We are contacted daily by different companies promising us the world. We feel we have made a smart choice by enlisting in your product and services. We are extremely happy with Get a Grip Audio & Website Solutions. Even though we gave them a very short deadline, they were able to work with us to create a great website in a short amount of time. We were especially impressed with Cher, her understanding and professionalism is unsurpassed! She was able to talk to us and create exactly what we were looking for, after just one phone call. She has a great eye for design and is very easy to work with. I am EXTREMELY HAPPY we finally have a website that will provide everyone who visits it with all the information they are seeking whether buying or selling Real Estate! I would gladly recommend Get a Grip to anyone of my peers. For some time now, I have been meaning to write to you to tell you how pleased I am with my web site and the voice overs that you have provided. It was my lucky day when you called all those years ago Barry! Cher, I had no idea just how much the quality of my web site could be improved! You were and still are absolutely the best to work with. Cher was fantastic in developing and building my web site. There was no end of imagination that Cher brought to the whole process, I was asked for some colors and wording that I would like to be used and she developed the web site that I am very proud of. I would recommend Get A Grip Audio Solution to design and develop your web site and I am sure that you will thrilled about your site as I am of mine. I just love my new website, thanks to Cher, we talked about my likes and dislikes, she listened and Presto, she came up with the most amazing images. I did my homework before contacting GET A GRIP and nothing compared to their websites. And being part of Point 2 agent made it a perfect match. I highly recommend GET A GRIP and let Cher take your business & website to the next level. When doing business with "Get A Grip Audio & Website Solutions", you can be sure to get a quick, professional yet personalised product for your website. They bring marketing solutions to a higher level. For us as a new company in the Caribbean's, we think it is important to stand out and try to do something else than our competitors, in order to sell and close a deal. While attending a Point2 webinar, we were informed about the marketing tool of the audio solutions, that "Get A Grip Audio & Website Solutions” offers and were very surprised. We now know for sure, that we have brought our marketing to a higher and better level. I love my website. I wanted to let you know that I was complimented on my website by someone from California who was looking through real estate websites for the local news station here. They said it flowed beautifully, loved the pictures and it was easy to navigate!! Just like you kept telling me. Thank you for the outstanding service that Get A Grip Audio Solutions provides. Your superior customer service has enabled me to offer a unique marketing product to my customers separating my marketing efforts from the competition. I have received numerous compliments on both the audio and website make-over your company has provided. I will continue to recommend your product and services to my colleagues emphasizing the ease in which the projects are accomplished. I look forward to a long and mutually beneficial relationship with Get A Grip Audio. I also recommend to all Point2 Real Estate customers to Get A Grip and start using audio with their slideshows! Considering I am not that tech savvy, once I heard that I could easily post audio of my listings to my website with a few clicks of the mouse, he had my attention. As someone who is constantly in search of being ahead of my competitors I quickly came to realize this was one of the methods that could help propel me to continue to stay at top of mind amongst the general public. I now have a site that not only shows pictures but the consumer is able to hear professionally voiced audio to describe my listings. Without adding Get A Grip audio to my listings-it’s like watching TV with the volume MUTED. My sellers enjoy the extra effort I do for them to help sell their home in a very competitive market, and the buyers are somewhat surprised when they are surfing the internet when out of the blue they come across my listings and the audio plays automatically for them to listen and watch. In the market we are in nowadays whenever one can do the extra above and beyond to catch the buyer’s attention I am all ears to listen and take action. I have found the staff at Get a Grip Audio to be extremely helpful and have always felt that they are there for me, unlike some other vendors who sell us REALTORS items or products, and we never hear from them again.. This is not the case at Get A Grip, Barry, Cher and his staff are very helpful and personable to discuss and to get the script and audio done in a very short period of time. I have mentioned and highly recommended this marketing tool to other top producing agents 'OUTSIDE' of my market place and suggest that if you are searching for something that makes you as a REALTOR stand out against your competition, you should make an investment that will pay dividends to you and your clients. Just a short note to let other agents know how “Thrilled” I am with the job you have done on designing my New Website. I can’t say enough about the quality service, constant contact - before, during and after the building of my website. Thank you Cher & Barry for always being there to make great recommendations and follow through – thank you both for your Professionalism, Creativity, and Patience & Understanding – it’s been all so greatly appreciated! Whether you’re a new agent to the business or an old hand like me – if you currently have a mediocre sight and would like to take it to the next level I highly recommend you check out “Get A Grip Audio Solutions’ and Web Design” – they’ll get you there! Don’t just take my word for it check out other agent web designs which they have done & you’ll certainly be impressed with their work – I was! Should any other agents wish to contact me concerning your services I would be more than happy to discuss it further with them. Thank you both again for “A Job Well Done” as well as your Support & Follow-Up!